A traditional Christmas begins with a real tree. Every year, we open the farm for families to come and find the perfect Christmas tree. You can walk the fields to find and cut your own, or choose a pre-cut or dug tree nearer the fire. While you’re at the farm getting a tree, make sure to go for a hayride and roast a s’more! We currently have white pine, Norway spruce, and blue spruce growing on the farm. 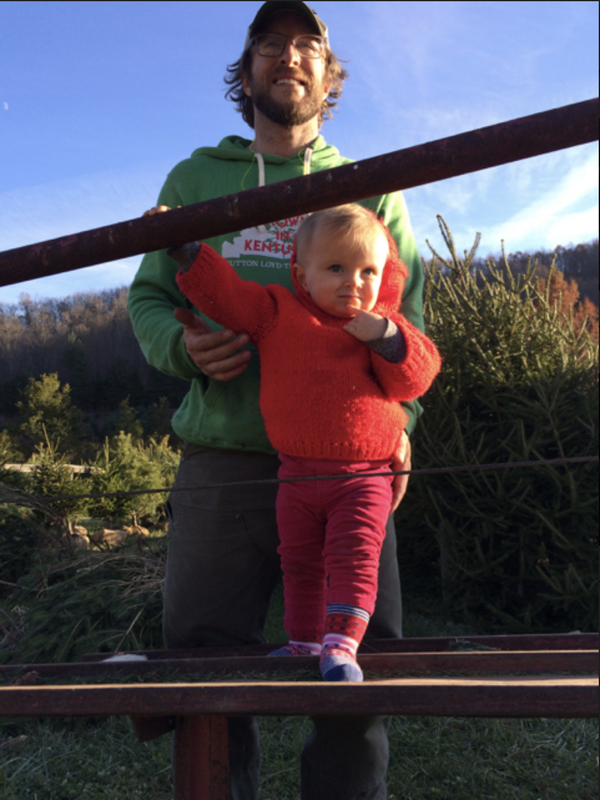 We cannot grow Fraser Firs in the Kentucky, but we do sell pre-cut Frasers from our fellow tree farms in North Carolina. The 2018 season is over. Check back in November for our 2019 open dates and hours. Detail oriented? You can find lots more information on trees and how we sell them here.